SKU: 17254. Categories: Mantiques/Gifts for Men, Militaria. Tag: WWII pilots set. 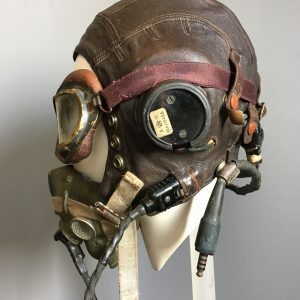 This WW11 Pilots set is such an interesting item to look at for anyone who has an interest in aviation, WWII. 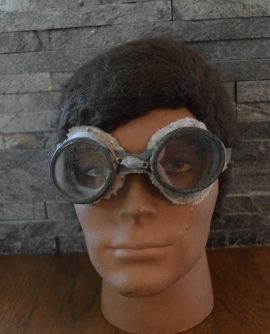 This is a Type C flying leather helmet with correct original oxygen mask and goggles. The leather helmet is in surprisingly good condition with no stitching coming undone or press studs missing. It has original earpiece speakers marked with the AM (air ministry) crown. The elastic has been replaced at some time on the goggles but this looks to match and not out of place so it has been left untouched. The wiring is original wound in cloth tape, looks like a repair again at sometime. A great WW11 original set for a collector... possibly Spitfire, Hurricane, Lancaster, Halifax or Mosquito pilots? 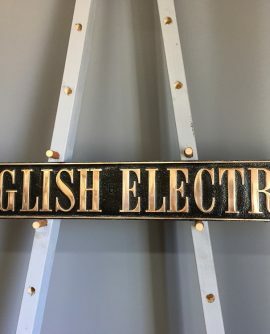 Included is the presentation stand which displays the item very well and makes this not just a WWII collector's item but a historic and beautiful display and conversation piece.